A wonderful, hand-painted and highly detailed model of the flying reptile Pteranodon. A scale model of a Pteranodon from Papo of France. 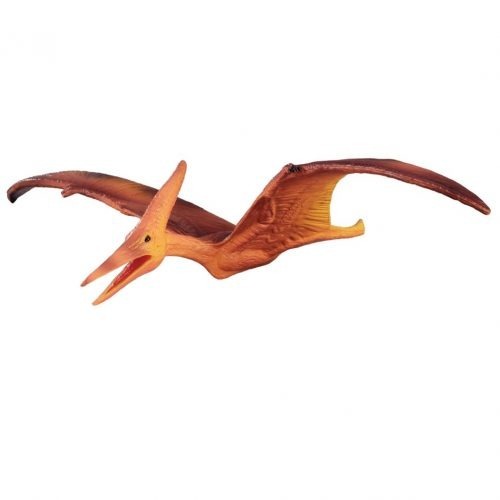 A wonderful, hand-painted and highly detailed model of the flying reptile Pteranodon. A superb model of the flying reptile, (Pterodactyl) Pteranodon. I was thrilled when i received this yesterday 30th March. It looks so real and I love it very much. Once again a fantastic service from E.D. The colour scheme looks great, it seems distinctively inspired by the Jurassic Park /// (3) pteranodon, although I could be wrong. 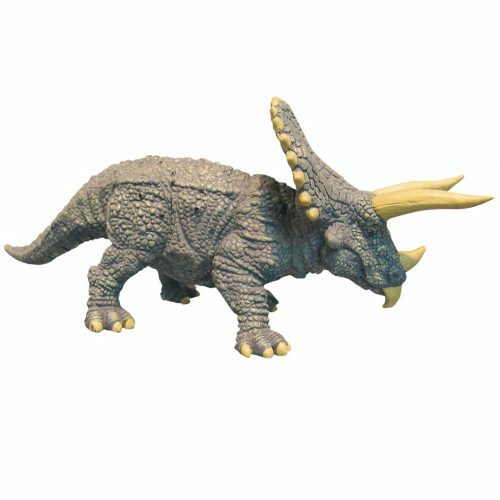 The pose is most intricate, a fairly neutral pose, especially compared with other Papo figures, makes for great playability. The crest and wings seem well proportioned, correct number of digits, etc. I give it a five out of five, for visual effect, accuracy, and playability. So lifelike in fact, that my cat wants to chase it..! It may not be the most scientifically accurate model that Papo produce, its beak being detailed with tiny, beautiful little teeth (entirely contradictory to the very meaning of ‘Pteranodon’) as well as thick heavy legs and slightly out-dated ideas in its sculpt, but as always with Papo models the attention to detail is excellent! The skin texture is very good, as are the folds in the skin of the wings. The paint scheme could possibly also benefit from an update but overall this is an excellent model and certainly doesn’t disappoint! And it also provides me and the cat with entertainment! Great website, my four-year-old son loves it! Well done. Very prompt with reply. Good information sheet – Thank you. Such a lovely touch putting in the fact sheets so I could read about the animals. I will definitely recommend you to friends and even my 21 month old daughter is keen. Thank you, we have received the dinosaur and are very pleased with the item. We think our son will be over the moon as we have been searching for one he wanted . .